Subspace Transmissions: A Star Trek Podcast: #51 - CARDASSIANS: TREK'S GREATEST ALIENS? 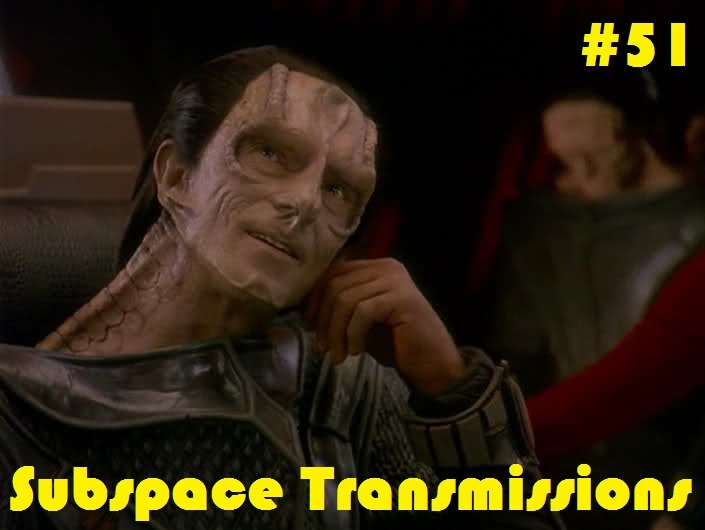 #51 - CARDASSIANS: TREK'S GREATEST ALIENS? One of Star Trek's greatest triumphs has always been its penchant for creating complex and authentic alien races, with countless wonderful hours dedicated to well-explored favorites like the Klingons, Romulans, Andorians and Vulcans. But who among them is the franchise's most brilliant creation? This week hosts Cam Smith and Tyler Orton, inspired by a fantastic TrekNews article by Will Nguyen, place the Cardassians under the microscope in order to determine whether they are indeed the most compelling and well-drawn denizens of the Trek-verse. Over the course of the episode, we examine the key figures, such as Gul Dukat, Gul Madred and Elim Garak, events and characteristics that constitute the rich tapestry of Cardassia, and attempt to forecast where the future may take this articulate, crafty and frequently antagonistic species. Wanna appear on the show? Shoot us a 30 to 60-second audio clip letting us know whether or not you agree that CARDASSIANS ARE TREK'S GREATEST ALIENS and you could take the spotlight in an upcoming program! You can also send any other questions, topic ideas or feedback to subspacetransmissionspod@gmail.com!